Christopher Columbus and Pedro Gutierrez while on the deck of the Santa Maira, observed, "a light glimmering at a great distance." It vanished and reappeared several times during the night, moving up and down, "in sudden and passing gleams." It was sighted 4 hours before land was sighted, and taken by Columbus as a sign they would soon come to land. 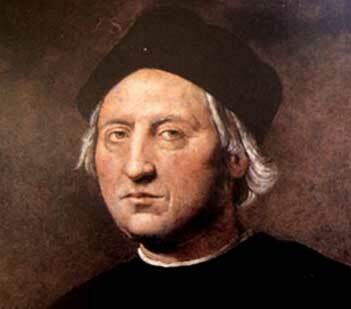 Even Christopher Columbus, it appears, saw a UFO. While patrolling the deck of the Santa Maria at about 10:00 PM on October 11, 1492, Columbus thought he saw "a light glimmering at a great distance." He hurriedly summoned Pedro Gutierrez, "a gentleman of the king's bedchamber," who also saw the light. After a short time it vanished, only to reappear several times during the night, each time dancing up and down "in sudden and passig gleams." The light, first seen four hours before land was sighted, was never explained." One of the aspects of this sighting that make it particularly intriguing is that the light was observed coming up from the water. The fact that it appeared at least four times and was seen in a variety of positions rules out all the usual suspects such as a comet, meteor or brightly lit planet or star.